In the mid-22nd Century, oceans have engulfed the world. The remaining fragments of humanity survive on the few pieces of land left above sea level. 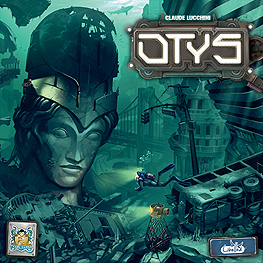 In the Otys colony, you strive to build a future for your people by retrieving the submerged debris of past civilizations. In Otys, send your best divers, to salvage useful materials from the depths. Optimize your strategy by matching y0ur divers special abilities, depth levels, and Colony bonuses. Be careful, though - divers must surface after each mission to replenish oxygen and regain special abilities. Use your team wisely to fulfill Colony contracts, earn rewards, and gain more prestige than the competition.